Barry D. Roseman, a native of Cleveland, Ohio, first came to Colorado as a VISTA Volunteer in 1969. He had graduated with honors from Denison University in Granville, Ohio, that year. Following his VISTA service, he attended the Law School of the University of Chicago, from which he received his J.D. degree in 1973. Mr. Roseman has practiced employment law since 1975. A fellow of the College of Labor and Employment Lawyers, he has been listed in Best Lawyers in America for more than ten years. Mr. Roseman began his legal practice as an associate in the firm of Sherman & Sherman, P.C., later to become Sherman, Morgan & Haddon, P.C. After six years with that firm, he opened his own practice in 1980. He and Stefan Kazmierski formed the law firm of Roseman & Kazmierski, LLC, in 1999. That firm and the law firm of McNamara & Martinez, LLP, merged in September 2007. Mr. Roseman is one of the founders of the National Employment Lawyers Association (“NELA”). He served on NELA’s Executive Board from 1985 to 2007 and served as NELA’s Vice President for Legislation and Public Policy. He has chaired NELA’s Judicial Oversight Committee, serves on the organization’s Legislation and Public Policy Committee, and is the facilitator of NELA’s private electronic information sharing system, NELANet. In addition, he has served as Chair of NELA’s Employment Termination Act Committee, served as an observer on behalf of NELA in the meetings of the National Conference of Commissioners on Uniform State Lawâ€™s drafting committee for that proposal, and wrote a chapter for the 1992 Wiley Employment Law Update about the Model Employment Termination Act. 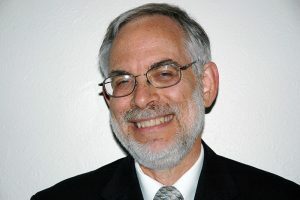 He has also written a chapter on the Labor-Management Reporting and Disclosure Act for NELA’s Employee Rights Litigation: Pleading and Practice; wrote a chapter on attorneys’ fees for the second edition of “Litigating the Workplace Harassment Case,” a publication of the Tort Insurance and Trial Practice Section of the American Bar Association; and has been a co-author of chapters on employment at will and on contract and promissory estoppel claims for The Practitioner’s Guide to Colorado Employment Law. In 2005, The Employee Advocate, NELA’s quarterly publication, published Mr. Roseman’s article, Foot Massagers, Layoffs and Spiritual Torture: Three Cases in China. He is one of the founders of NELA’s Colorado affiliate organization, the Plaintiff Employment Lawyers Association (“PELA”). Mr. Roseman is the chair of PELA’s board of directors, has served as PELA’ secretary-treasurer, and is the chair of the organization’s Legislative Committee. Before NELA, Mr. Roseman served on the board of directors of Colorado Rural Legal Services in the late 1970s and early 1980s. He served as the chair of the CRLS board in the early 1980s.